Making a sliding door with a swinging door built into it. Swinging door needs to be egress and ADA. Advice please. 1. How will the hinge side of the sliding door be kept in alignment with the strike side of the opening if there is no frame member along the lower side of the opening. It is a 3-sided opening, no? 2. Is there enough clearance between the wall and the sliding door so that when it is slid open, the hinged door latch will not hit the wall? This may make for some contrived extensions to the track above in order to carry the weight further out from the structure in the wall. 3. What is planned to keep the slider from swinging off vertical when the hinged door is opened? At any/all locations along the travel. 4. What combination of inexperience, desire for style at any cost, and slight common sense did it take to come up with this? I hope it is not you Mackenzie - I mean no disrespect. But about 10 minutes thought and this drawing would have ended up in the trash can. 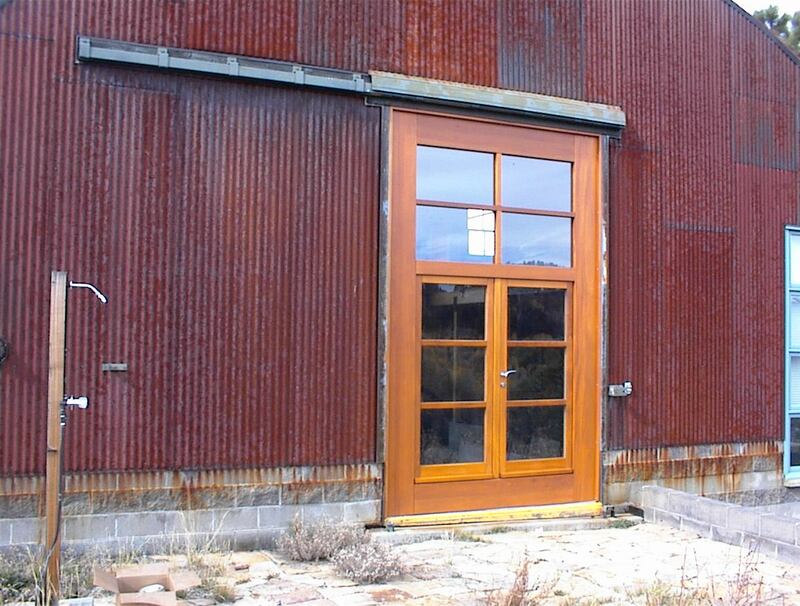 There is historical precedent of a smaller door in a larger door, but both doors are hinged, and the smaller door opening has a rail that connects the two sides - as part of the larger door - to add the rigidity needed to make it work. That is, it is framed on all four sides by the larger door. I'm not the designer but I am making a list of requirements they'll need to allow before I start building. I told them they'll be needing some manner of slide bolt on what will be the hinge jamb and the strike jamb. They've specified no exterior pull, it's really only for emergency egress. I guess my main question is will the slide bolt work, and can I trust everyone to engage them. Bottom hung lift and slide this could work but the door would never meet ADA. Top hung with the bolts? Maybe, but risky. Looks like a pocket either way. If it was me I would try to talk them into a fold slide with one operating door. 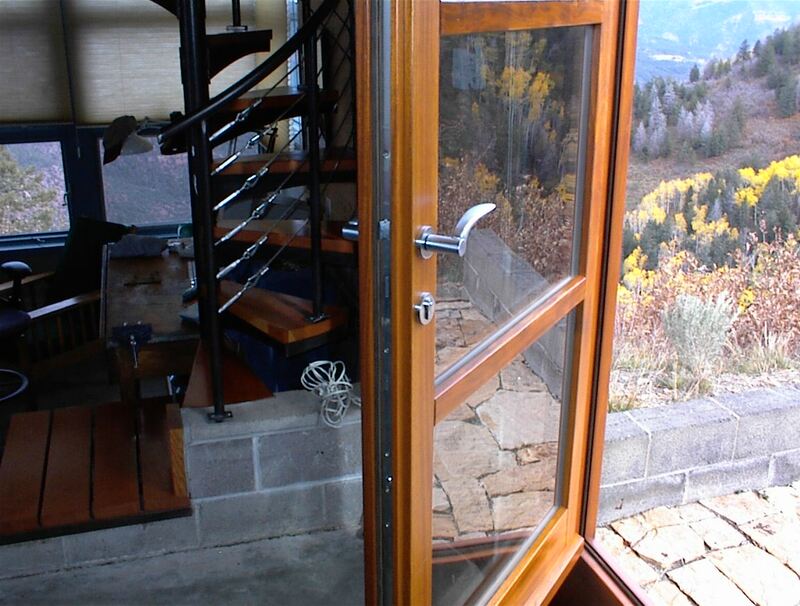 Or a normal lift slide is pretty easy egress and can be locked with a key and thumb latch if needed. Flush hinges and recess door latches and locks are available. My old shop in a rented building was exactly that. Wouldn't meet ADA because there was a bottom rail in the swing door opening. You might be able to pull it off if the sliding door was recessed so that the bottom rail was at grade. Wouldn't be wind tight. We did a 14' high slider with a man door for a art barn. Top hung with RW barn hardware. The mice were going right through the brush seals. We tried several ways to seal better. In the end the owner had us set the door permanently in place. No ADA on this one either. Lift slide would have been a better solution. We/they decided only two doors (one on each side of the building) need ada egress therefore those ones will be be hung in a sliding door and the sliding door fixed in place. And vice versa, the operable sliding doors will have a fixed swinging door. new topic: whats the best way to make those panels? 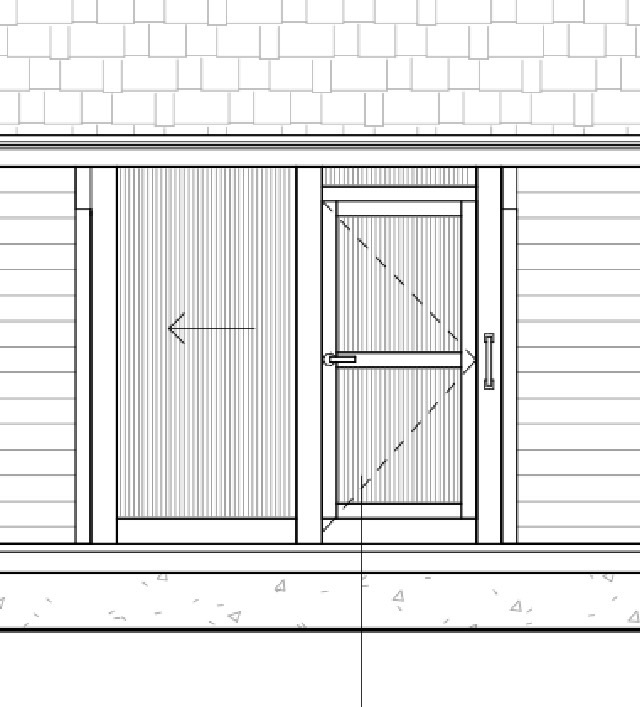 Sliding doors are more efficient in use as it does not utilise much of the area at your house. I got such sliding doors fixed at my house as it does not consume much of the space as being consumed by a normal door where it needs extra space for the doors to be pulled out. Trust me, sliding doors not only saves the space, it also makes the room more perfect in shape. I got mine done through http://canglow.ca/.